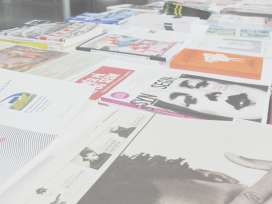 Read our bi-weekly reviews of the latest issues of Eurozine partner journals. 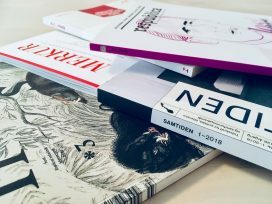 ‘Blätter’ predicts a politicization of the Europe question; ‘Merkur’ argues that dominant theories of populism reaffirm liberal certainties; ‘Samtiden’ looks at tensions in Norway between town and country; ‘Host’ discusses women’s role in Charter ’77; and ‘Res Publica Nowa’ returns to the political life and thought of Leszek Kołakowski. 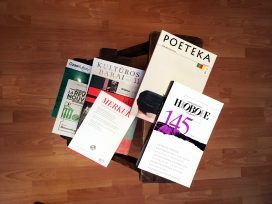 ‘New Eastern Europe’ wonders whether Putin is bored; ‘Osteuropa’ recognizes the unfinished work of Arseny Roginsky; ‘Kultūros barai’ celebrates the Lithuanian miracle; ‘Varlik’ regrets the Islamization of Istanbul; ‘Esprit’ calls for more democracy at work; and ‘Syn og Segn’ talks about men, women and children. 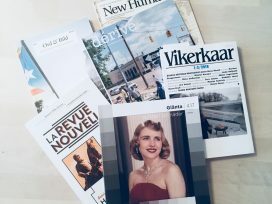 ‘La Revue Nouvelle’ talks about Belgium’s colonial legacies; ‘Vikerkaar’ marks one hundred years of Estonian multiculturalism; ‘Glänta’ notices differences in Sweden; ‘New Humanist’ confronts the rising tide everywhere; ‘Ord&Bild’ draws the line at the far-right; and ‘dérive’ writes from the rust belt. 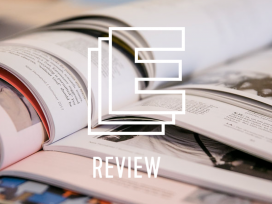 ‘Esprit’ explores worlds of ecology; ‘Merkur’ talks class; ‘Dialogi’ looks at histories of feminism; ‘Belgrade Journal’ introduces voices from the Balkan route; ‘Il Mulino’ travels through a difficult but extremely beautiful country. 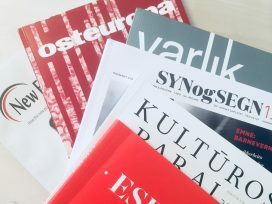 ‘Soundings’ and ‘Syn og Segn’ debate sovereignty and citizenship; ‘Index on Censorship’ asks if we protest enough – or too much; ‘Osteuropa’ makes a sober assessment of Czech politics; ‘Revolver Revue’ talks to concept artist Karel Miller; ‘New Eastern Europe’ investigates a growing generation gap; and ‘L’Homme’ revisits sisterhood. 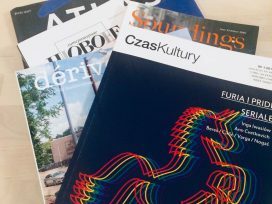 ‘Osteuropa’ describes the uses and abuses of 1917; ‘LaPunkt’ prefers Burke; ‘Ord&Bild’ goes in search of lost time; ‘Wespennest suffers the anxiety of inheritance; ‘Mittelweg 36’ historicizes anti-academicism; ‘New Eastern Europe’ looks even further east; ‘Esprit’ welcomes suburban meritocracy; and ‘Symbol’ speaks to a connoisseur of French Theory. 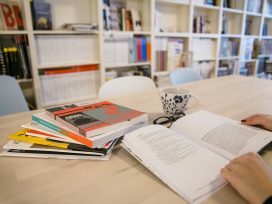 ‘Soundings’ focuses on alt-right discourse and media practice; ‘Varlik’ reports from the front line of Turkey’s culture wars; ‘New Humanist’ examines the semantics of counter-terrorism; ‘New Eastern Europe’ identifies a (nearly-)new species; ‘A2’ re-reads Das Kapital 150 years on; ‘Vagant’ challenges conventional wisdom; and ‘Merkur’ discusses Europe between communio and commercium.